I think it’s fair to say I live a pretty frugal life, I love delving into the deepest depths of ebay if there’s a useful bargain to be had. That old classic angle poise lamp (retrofitted with an LED bulb of course! ), that said there are some things I just don’t like to compromise on such as office furniture. 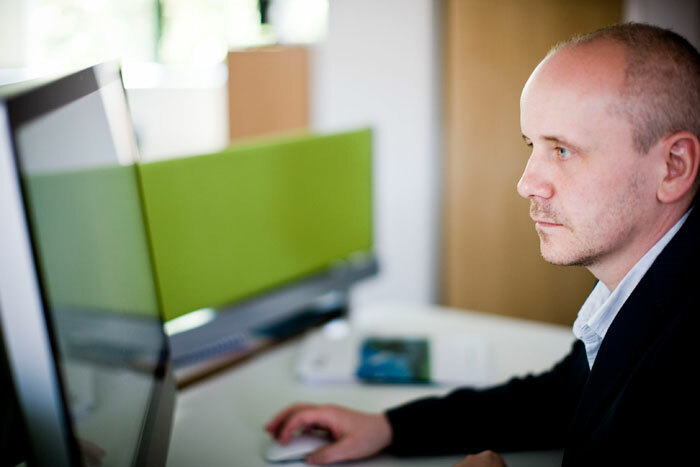 Lets face it, as designers we spend a lot of time sat at a desk and that’s can sometimes be a pain in the back (literally!) if the environment ain’t right. So when we refurbished the office late last year, I got the opportunity to put this right. The first issue was to convince Kate (who holds the company purse strings here at Carbon) so as I handed her a perfectly distilled cup of tea, a favourite biscuit and casually mentioned how her hair ‘looked lovely today’ I gently tiptoed my fingers over the desk to twist a quote for my proposed office furniture plans. After I’d dusted off the initial spluttering of tea and biscuit crumbs and gave Kate a good few pats on the back I explained the furniture had some of the best ergonomic reviews, a 12 year warranty and was 94% recyclable. Being the caring green super hero of the office she just couldn’t refuse a pitch like that. My criteria was quite simple; strong, supportive, sustainable and stylish, and for me, there was only one choice, Herman Miller, sadly for Kate that equated to err, expensive! I decided to mix up the old and the new, firstly for the chairs we elected for Herman Miller’s Aeron task chairs. 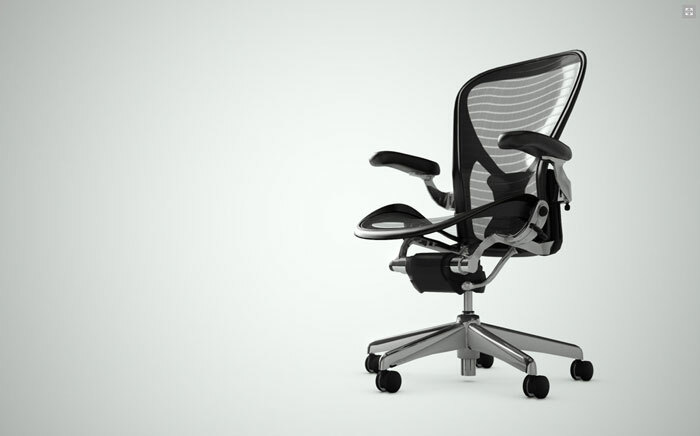 The Aeron is a design classic, it first appeared in 1994 and it started a revolution in office chairs and ergonomic design. The Pellicle mesh that is used in the chair is stretched over a frame so that it conforms to body contours to prevent pressure points. The Aeron also features a patented Kinemat tilt is a mechanism that lets your body stay balanced through the 30-degree recline (something I do a lot!) for a full range of postures. You can adjust the lumbar depth and height to one that suits your body perfectly. Aerons are highly configurable so we went for the PostureFit versions that allow the custom lower back support adjustment too. Whilst Aeron’s are expensive they are pretty much bullet proof hence the 12 year guarantee so the durability does offset the cost. 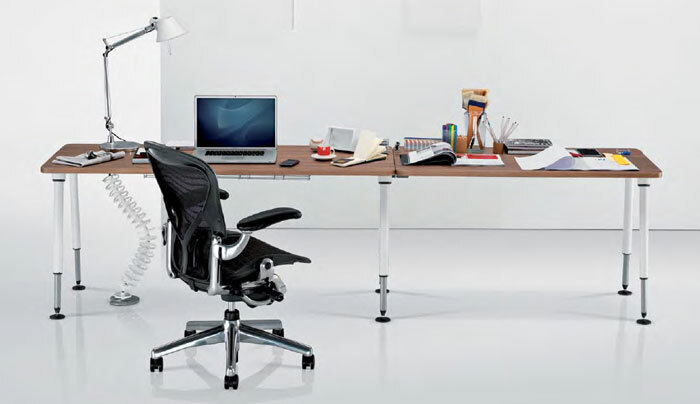 And so to the desks, I fell in love with Herman Miller Sense desking, not only do they look cool in a sort of minimalist yet funky kind of way they are also designed intelligently and sustainably. Sense is a fairly new range by HM and has unparalleled flexibility, it clicks together in seconds and works beautifully, we elected for the delta shaped cluster desks with low privacy screens that are burst of colour against the chalk white desks, we also went for most of the add on extras which to be fair weren’t too expensive. So did the blood drain from our bank managers face? Well at the start of this post I did say I was frugal and whilst the Sense desks were such a new line there were no deals to be had I discovered Aeron’s are a different matter altogether and a whole ecosystem of Aeron recyclers exist out there and they will gladly sell you a fully refurbished Aeron harvested from a posh place like the Lloyd of London building at half the price of a brand new chair. So there you have it the story of our love and quest for Herman Miller furniture, strong, supportive, sustainable, stylish AND recycled, its like they were made for Carbon! !